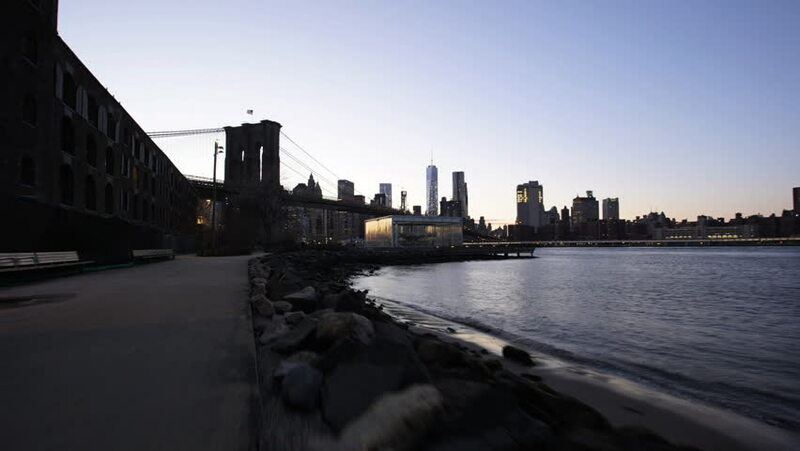 hd00:13Sunset view of Brooklyn Bridge and Manhattan skyline. 4k00:07Timelapse of New York City Skyline with sunsetting. Brooklyn Bridge lighting up and some Manhattan bridge in shot. Silhouettes of Empire State Building, Freedom Tower and Chrysler Building also.